For the last three months I've laboured with this post. The tea in question is not shy in stating its quality claims: "yi ke shu" - one single tree (link to product on bannacha.com). 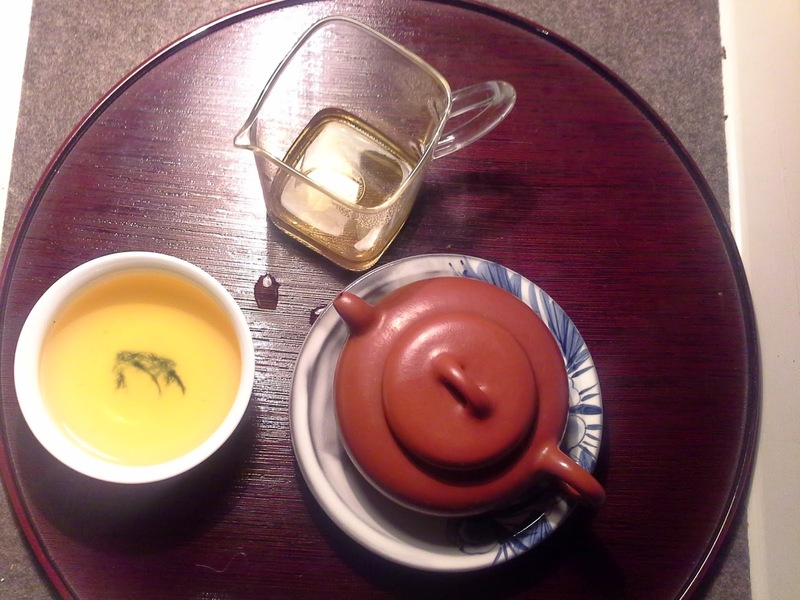 A tea made from the oldest trees in Mengku's competitor for Bingdao fame: Xiao Hu Sai. If you look it up on the shop page at Bannacha, you will find more background information. 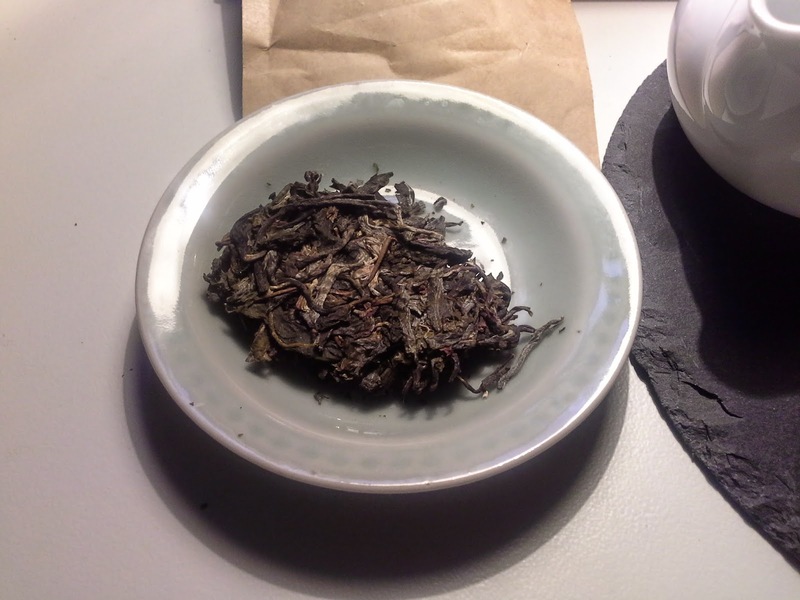 Since then I have had several more sessions with this tea (bought a 100g bag before finishing the initial sample) and all the while I wanted to blog about it ... but each session turned out differently, making it very hard for me to describe the tea. A diva? Finally I found out how to brew this tea so I get reliably good results during the last 3-4 sessions. What I call "good results" in this tea, might well be labeled "breathtaking bliss". This tea is way beyond terms like good, tasty, vitalizing ... it is all the strength true gushu tea offers, yet not being brash or loud. More like a glacier wrapped in velvet: smooth and gentle at first touch, but behind that lurks an unstoppable energy which slowly but unerringly opens my nose, dances beneath my tongue and makes me smile (i.e. paints an imbecile grin on my face). How did I manage to get this horribly young tea to quit being rash and hard on my stomach? I had to change almost every aspect of my sheng brewing habits. 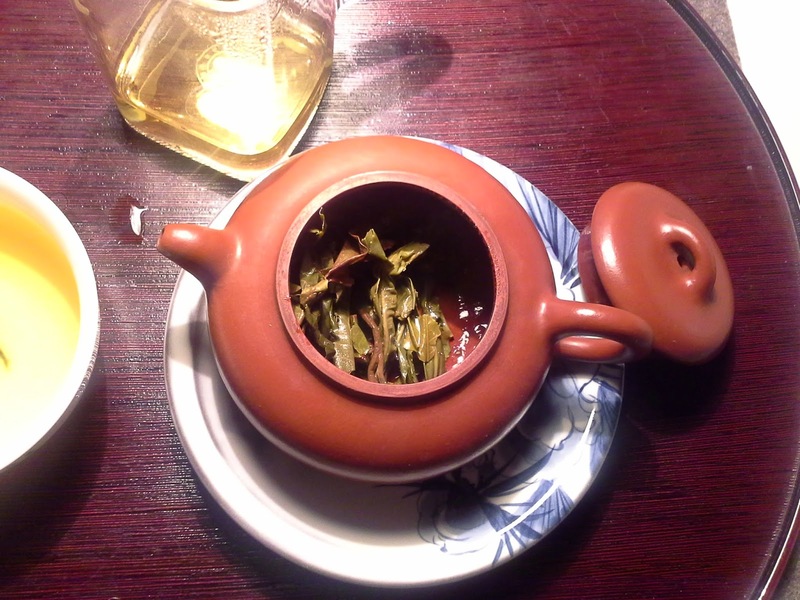 A neutral gaiwan renders a brew which is far too harsh. My trusty zisha pot I use for almost every sheng is taking too much off the edges - leaving me with a slightly boring brew. So I had to dig out my much neglected hongni pot (fired high) which is mostly used for greenish baozhong. 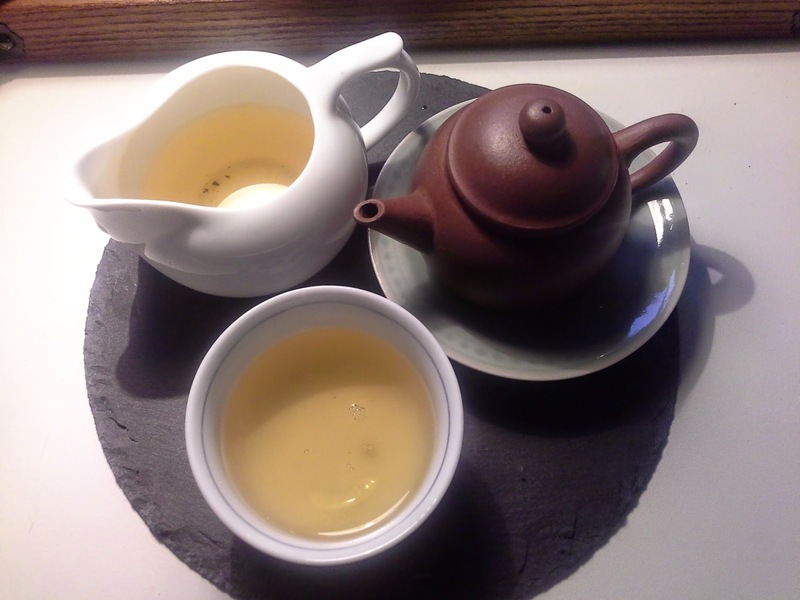 Next I experimented with water temperature - this tea is so young, it resembles green tea in many aspects. So I poured the hot water into a pitcher (gongdaobei?) to let it cool a little before pouring it into the pot. Much better! Perfection (or as close as I might get with young sheng) came, when I reduced the quantity of tea leaves and instead increased brewing time. Bliss! "Sure, I'll have a second cup, please!"